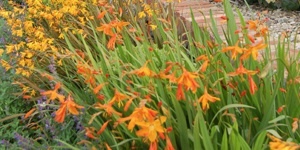 We grow and sell unusual plants from all over the world including an amazing range of hardy herbaceous and rockery plants as well as many tender perennials for terrace and conservatory. Derry Watkins, author of two books on greenhouse gardening has introduced many new plants from her plant collecting trips to South Africa and elsewhere. 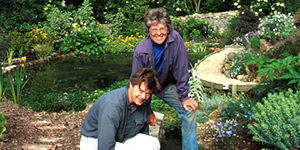 She also teaches one day gardening courses at the nursery and lectures extensively. 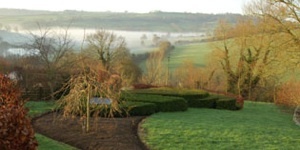 The nursery (open daily March-October) is near Bath in southwest England, but we post seeds all over the world. Our garden was featured on Gardener's World in 2015. You can see a clip here. 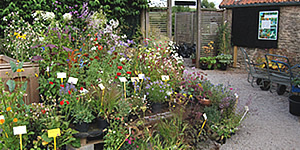 We sell fresh collected seeds of herbaceous perennials, tender perennials, annuals, biennials, grasses, umbels and almost every sort of plant apart from trees and aquatics. Many are our own new introductions. Address: Greenways Lane, Cold Ashton, Wilts, SN14 8LA Phone: (01225) 891686 Hours: 10am - 5pm daily, March through October. Architect designed garden on steep slope with fabulous views. Exuberant sweeping shapes filled with exciting plants. Created from derelict field in last twenty years. 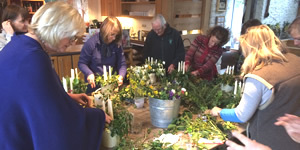 We offer a wide range of one-day practical gardening courses, from vegetable gardening, to taking cuttings, to pruning, to weaving willow structures for the garden. Courses are held in spring and autumn. 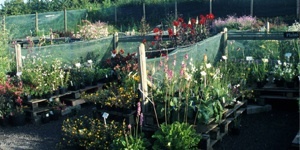 We sell a range of hardy perennial plants, shrubs, tender perennials, annuals and grasses at our nursery. Our plants are also available by mail order between September and March. In 1996 we bought a derelict barn with a fantastic view of the Bath countryside. Today, this site is home to our house, nursery and garden.